We at Lezyne have always been innovative when it comes to chuck design – listening to customer feedback to make the best chuck on the market. 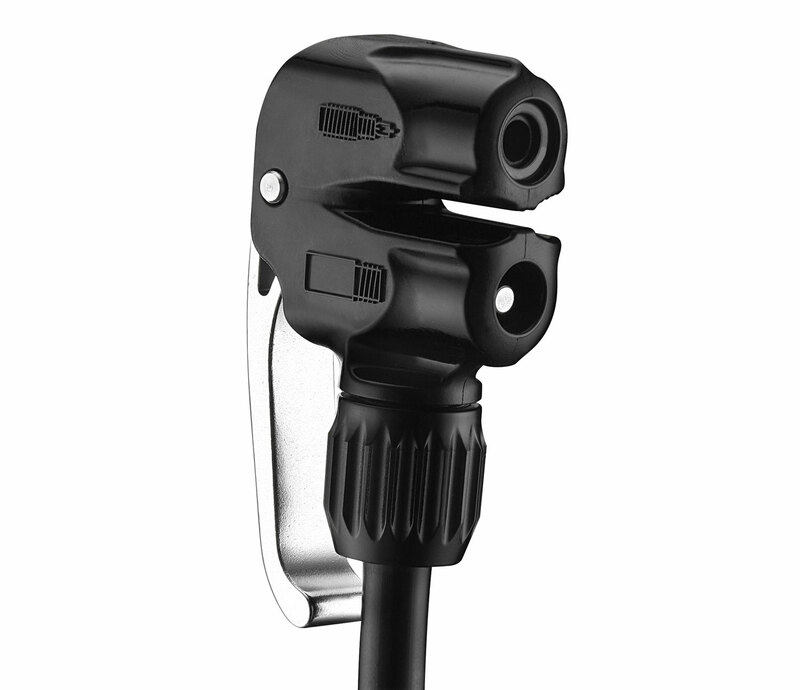 In model year one (Y1), Lezyne introduced the Flip Chuck. 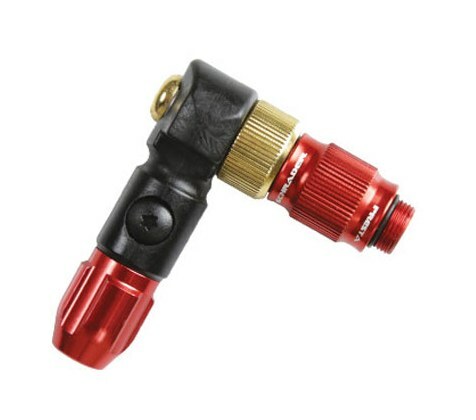 Made of a solid piece of CNC machined aluminum, it quickly switched from Schrader to Presta by un-threading the chuck from the swivel/hose-connector and flipping it 180 degrees. It was very robust and only after considerable usage did it need a replacement O-ring for continued use. It attached to the hose via the original swivel, which was also CNC machined aluminum. This was thread-locked in place, but could occasionally un-thread during use. It was redesigned as a result to require a 2.5mm hex to remove it from the hose. As durable and robust as the original Flip Chuck was, if it was over tightened, it could unscrew a loose valve core, so in Y4 we redesigned the Flip Chuck to include an air bleed button. This allows the user to break the air seal on the valve before unscrewing the chuck. When the valve core is tight and the chuck isn't over tightened, it prevents the chuck from unscrewing the valve core. We also began anodizing the aluminum a gold color to distinguish it from the previous generation. Around the same time, the swivel got a redesign as well. The second incarnation could occasionally bind against itself and leak, so the swivel was redesigned to be half composite matrix and half CNC machined aluminum. This prevented the bind. We also changed the 2.5mm hex key hole to a 4mm hex key hole for removing the swivel from the hose. In Y9, we took a big leap forward with the introduction of the ABS-2. 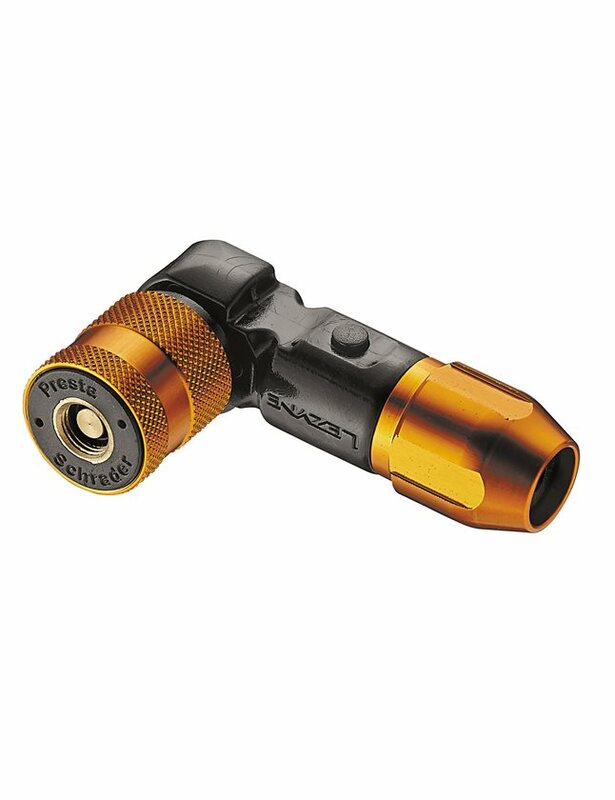 It had a number of advantages: it handled both Schrader and Presta at the same hole, completely released from the valve core when being removed, included a 90 bend, and the ABS button could bleed from the tire. Unfortunately, some users found it a little too complicated to use, and it was a little harder to maintain with many more moving parts than previous chucks. For Y11, we decided to discontinue the ABS-2. At this point (Y11), our design team stepped back and looked at all of the advantages and disadvantages of our flagship chucks over the years. The most important points were: durability, longevity, and ease of use. The 90 degree bend had to stay. Keeping the ABS button away from the attachment point improved ease of use. And after ten years of use, many people's original Flip Chucks still worked great! This led to the design of the ABS-1 Pro, which is what our current pumps ship with. Starting with the ABS Flip Chuck, there was a corresponding high volume version of each chuck - each anodized a different color to distinguish them between high volume and high pressure. 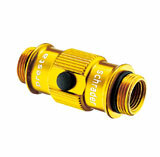 For users that have threadless valve extenders or a very small space to attach to the valve, we offer the Slip Chuck. It attaches to the swivel in place of the Flip Chuck or ABS Flip Chuck. We also offer a basic flip-lever chuck that we call the Dual Valve Head. Some of our entry-level pumps ship with this chuck. One of the great things about our floor pumps is that our hoses have never changed in diameter. As we've released different chuck options over the years, they all remain backwards and forwards compatible. We have three different hoses: the high pressure hose, the braided high pressure hose, and high volume hose. 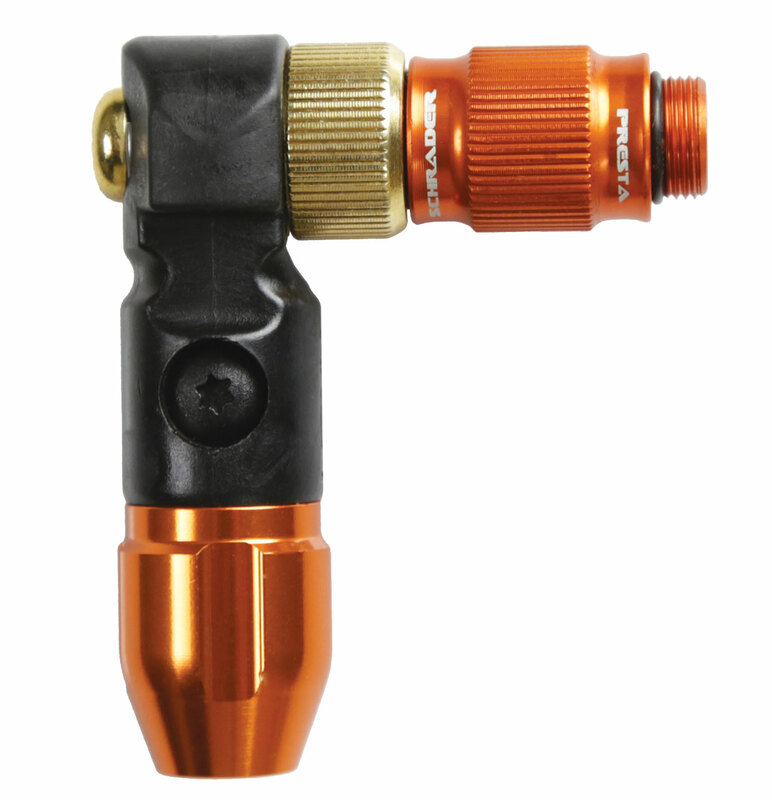 All of our high pressure chucks are compatible with our high pressure hose and braided high pressure hose, and all of our high volume chucks are compatible with our high volume hoses. Note: The feet on the base of our high pressure pumps says both "High Pressure" and "High Volume." Our high volume pumps say "Lezyne" and "Precision High Volume." Sooo... I have a Steel drive currently equipped with an HP ABS-2 chuck, which says "High Pressure" and "High Volume" on the feet. How would it work with a HV ABS-1 Pro chuck? As I explain in Pump Compatibility above, your pump would not work with an HV chuck. I have The Original Flip Chuck installed on a 2009 Lezyne Steel Floor Drive Track Pump and need to replace the reversible chuck. Great pump and I just want a new chuck with little work on my part (i.e. not replacing hoses and I like the thread on design). What will work? thanks...needing asap so once I receive your guidance I am purchasing. Please see the last section of the article above; it's called Pump Compatibility.